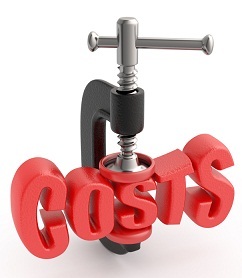 Costs: the hidden barrier to settlement? In some litigation cases, the parties don’t seem to be able to agree on anything. They argue and bicker over everything from the value of the claim to what experts to use, and even the choice of a mediator. Of course, this makes settling the case particularly tricky. In a recent case in which we acted for the defendant, the biggest barrier to settlement was not actually the claimant, but rather its legal advisors and the level of fees that they were claiming. My clients got an indication of what was to come when the claimant filed its costs budget (the Courts now require parties to file costs budgets early on in a case). The parties must set out their estimate of the total costs that they will incur all the way to trial in these costs budgets, and the Court is reluctant to allow parties to deviate from these budgets later on. The claimant’s costs budget included a staggering amount of costs incurred to date, so much so that the Judge ordered the hearing to be adjourned, so that the budgets could be revised. We then applied for the claimant’s costs to be capped, but the Judge sent the parties off to instruct a Joint expert to try to get a better idea of the true value of the claim. The parties then agreed to engage in mediation in order to save incurring more costs. It soon became clear that the claimant wanted to settle its claim for a reasonable sum, but the sticking point was their legal advisor’s costs, which were huge (particularly as they were acting under a conditional fee agreement (essentially, a no-win,no-fee agreement) which provided for a substantial uplift on their fees. Embarrassingly, the claimant himself seemed to be unaware of the level of these costs. The claimant’s legal advisor’s fees became a real barrier to settlement, because if our client did not agree to pay them, then either the claimant would have to foot the bill, or his legal advisors would have to agree to take a significant reduction in their fees. In the event, the claimant had to enter into some awkward and serious negotiations with his legal advisors to obtain the settlement he wanted, and to persuade them to take a significant cut on their costs. This case highlights the need for a client to be closely involved in their case. It is a solicitor’s duty to ensure that their clients are kept in the loop, and kept fully informed of the costs that they are incurring. Here, it seems that the claimant had not been fully aware of the level of his costs, and the problems that these costs might cause. Whether this was due to a lack of transparency from his advisors, or simply a situation where he chose to ignore the issues, we will never know. What is clear, however, is that his legal costs developed into a significant barrier to a sensible settlement of his case. The lesson to be learnt from this is that you should never be shy of asking for an update from your legal advisors, particularly on costs. They are on your side after all!